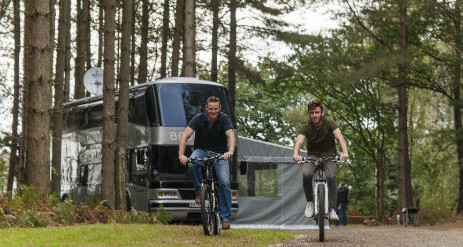 Bedroam is a fabulous, quirky alternative for large groups who wish to go Glamping in Yorkshire. 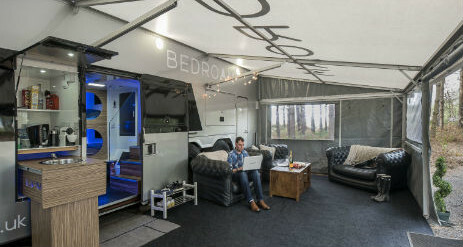 Created with luxury comfort in mind, Bedroam is a great place to stay in Yorkshire as it has all the facilities you will need including 2 fully equipped bathrooms, 18 individual Japanese style sleeping pods and a large multi-functional awning which provides a seating area to relax in as well as entertaining al-fresco style! There are 14 Japanese style sleeping pods on the top deck of Bedroam. A further 4 are located on the bottom deck. Each Japanese style sleeping pod has its own personal storage compartment, a blackout screen, power socket and an overhead reading light. 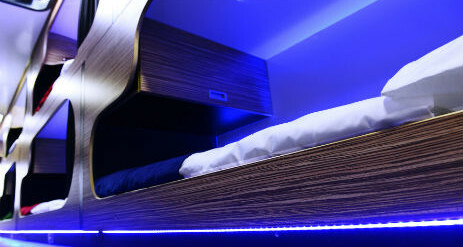 Each pod has a luxury memory foam mattress and a sumptuous duvet plus 1 pillow for a good night’s sleep. All bed linen is provided. 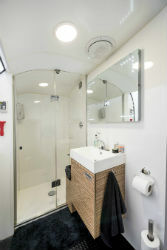 The 2 bathrooms’ feature a shower, toilet and sink. Sinks are fitted with warm running water on motion sensor taps. The toilets are high specification and environmentally friendly. Towels and complimentary toiletries are provided. 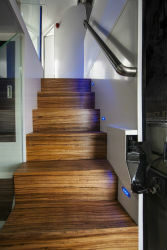 On the bottom deck of the bus is a small fridge and storage space along with 4 Sleeping Pods. 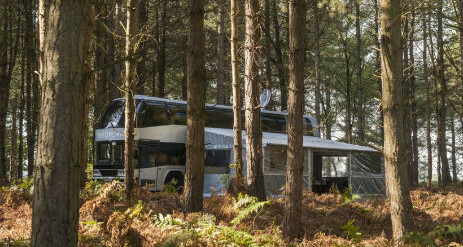 Joining on to Bedroam is an 8 metre multi-functional awning. 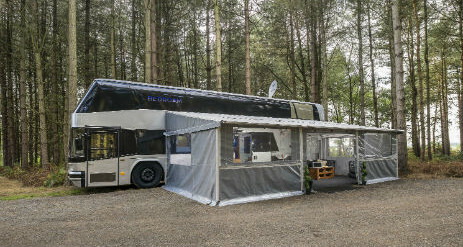 Within the awning you will find the kitchen area for Bedroam which offers a Nespresso machine, kettle and a toaster. 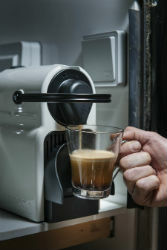 Bedroam provides a selection of pods to use in the Nespresso machine along with Coffee and Tea for 18 guests. There is also a small sink in this area. We provide 3 sofas, tables and flooring in the awning itself making it an ideal space to relax and unwind. 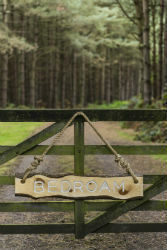 Nestled down a quiet country lane, the Bedroam private woodland offers a sanctuary from modern day life. 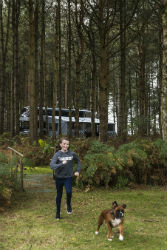 There is a woodland clearing close to where Bedroam is parked which provides ample space for outdoor activities such as football, rounders, cricket or simply to play with a Frisbee! 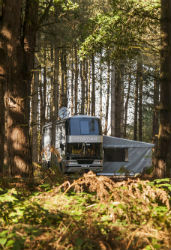 After the day’s activities, unwind by the campfire, enjoy toasted marshmallows and a cup of hot chocolate underneath the stars. You may wish to do your own catering? Our BBQ is always popular with the MasterChef’s amongst you! The local market town of Pocklington is just 10 minutes’ drive away. There are a number of boutique style shops as well as a good selection of restaurants, pubs, takeaways and local amenities. The Pocklington Arts Centre has a fantastic array of live shows on offer including many international singer/songwriters, bands and comediennes. The Art Centre also has a cinema showing all the latest blockbusters. Burnby Hall Gardens is definitely worth a visit if you have time! A £500 non-refundable booking deposit required on booking, with remaining balance required 30 days prior to arrival. Fully refundable security deposit of £1000.